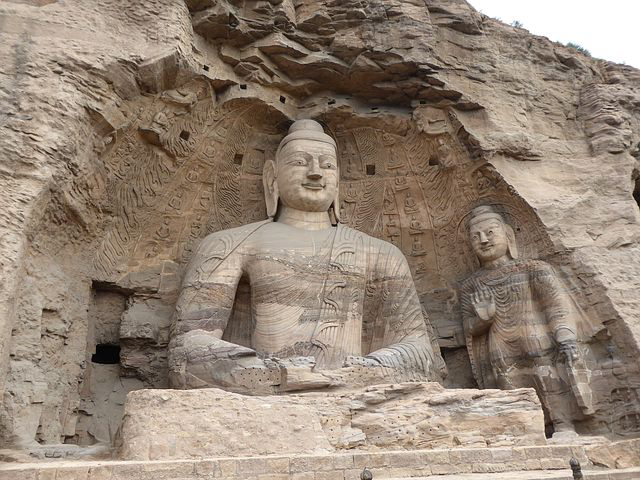 This 10-day itinerary takes you on an adventure through the Yunnan province in China. 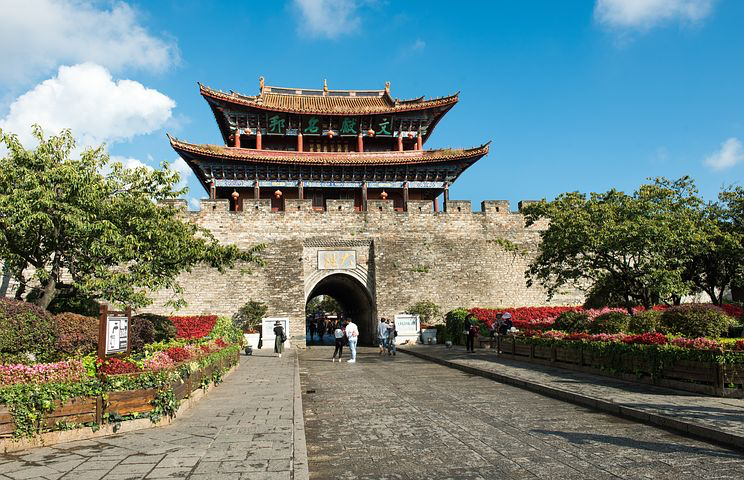 You will explore the amazing city of Dali, the historic Old Town of Shaxi, the cobblestone streets of Lijiang, pottery-making in Tacheng, and the lovely city of Shangri-la. The highlight of this trip is the 2-day trek through the most beautiful area of the Yunnan Province – Tiger Leaping Gorge – to experience local hospitality, natural wonders and phenomenal scenery. Arrive in Dali, the ancient capital of the Bai Kingdom of Nanzhao. Our guide will meet you at the airport and then transfer to your hotel to freshen up. 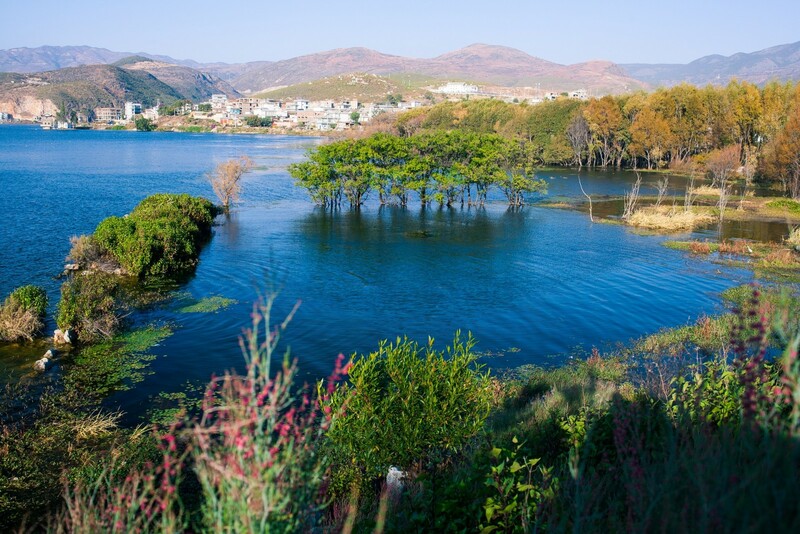 The rest of the day is free for you to explore the ancient town of Dali. Bike around Erhai Lake to Xizhou Village, then get an inside look into the age old method of cormorant fishing. We’ll be out on a boat watching trained cormorants catch fish for local fishermen. This morning we will transfer to Shi Bao Shan Grotto. The Shi Bao Shan Grotto, also called Stone Bell Grotto, is an ancient complex of cave grottos nestled into the pine-forested mountain. It is this spot that monarchs of Dali and Nanzhao Kingdom picked to build their Buddhism temples from 7th to 9th centuries. Then we hike to Shaxi Old Town. 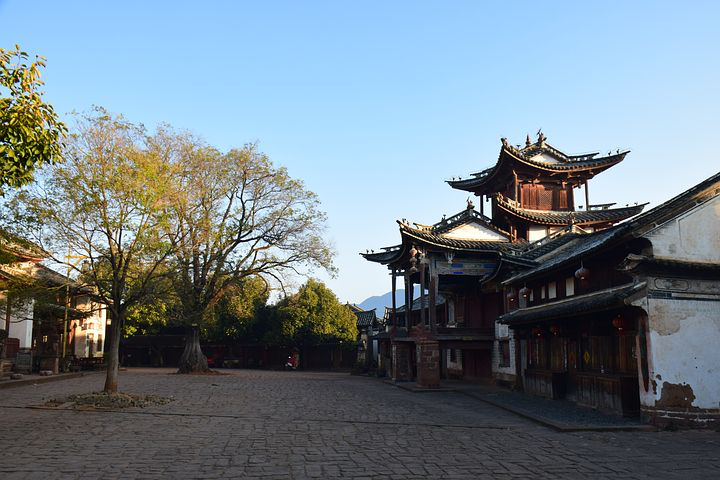 This morning take a walk in Shaxi village, then drive to Lijiang via Jianchuan old town. Lijiang, or “Beautiful River,” was so named by Kublai Khan in 1254. This rugged and isolated town, nestled at just under 2,440 meters (8,000 feet), is in a broad valley that ascends from 2,286 meters (7,500 feet) in the south to 3048 meters (10,000 feet) in the northwest. Walk down narrow cobblestone streets, lined with canals of clear mountain water and weeping willows, meander through the old city, breached occasionally by decorative arched bridges, unchanged since the Yuan Dynasty when the town was founded. 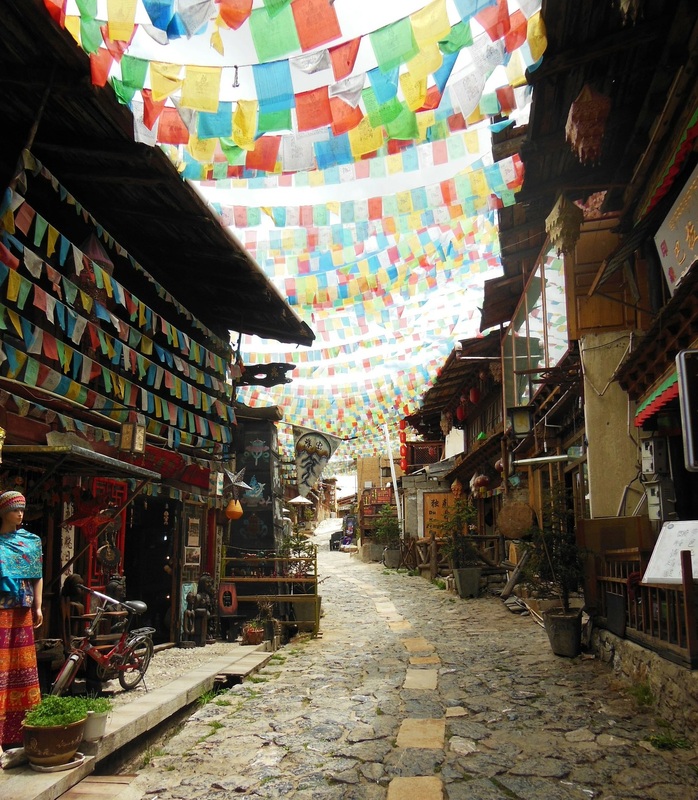 Explore Lijiang Old Town with your guide. Today, hike to historic Puji monastery. Lying on the hillside in the northwest of the Lijiang Valley, Puji Temple is one of five existing monasteries in Lijiang. Built in the 18th century, the monastery was named after the village Puji, located about a 15 minutes’ drive from downtown Lijiang. Take a short 30-minute hike to and from the temple. We will then visit Baisha and Yuhu villages, and hike from Yuhu to Wenhai valley, located about 15 kilometers North of Lijiang Old Town. The Yuhu village, belonging to the Naxi minority, is the last village of the valley; and is situated at the foot of the Jade Dragon Mountain in Lijiang. The houses, built with unique rocks called “monkey head”, a mix of the rocks and dried earth, make the village look the same as it was in the beginning of the 20th century when Dr. Joseph Rock chose this place as his residence place. The famous botanist Dr. Rock came here to study the plants of the Jade Dragon Mountain and he fell in love with the region, its people and its culture, and decided to live there. He lived in Yuhu village for 27 years. From 1922, he started research on the local Naxi minority; he took many photos and wrote many papers for the magazine “National Geographic”. Visit Dongba Musuem. Dongba is the religion, culture and script of Naxi people. The Museum has more than 10,000 Dongba cultural relics and various other historical artifacts. In the evening, enjoy dinner in a local family’s house. If interested; we can prepare dinner with the host, cooking the local specialty dish “local pancake”. Drive to Tiger Leaping Gorge, the famous canyon on the Yangtze River, for the start of our big trek! The legend behind this deep canyon says that a tiger made the 25-meter wide leap across the gorge to escape from a hunter. The trek will be a total of 8.5 hours over two days, overnighting at a rustic guesthouse in the mountains. The trekking in the morning is relatively easy with attractive views of the forest and farmland. 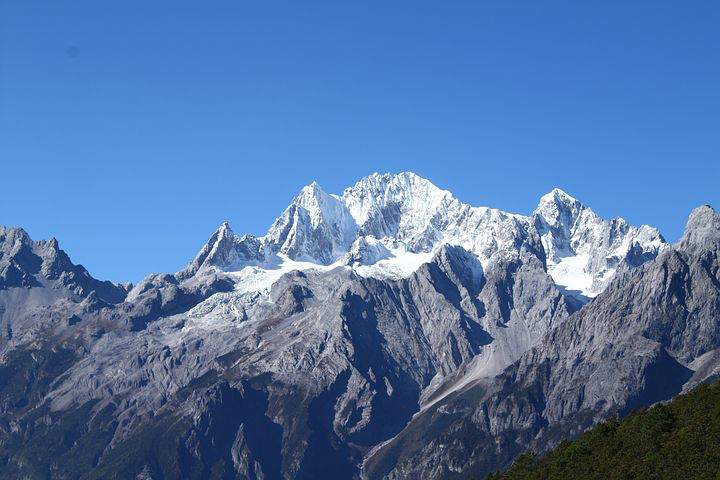 The challenging part comes after lunch with ‘28 bends’ to the highest point, for a distant view of the gushing river deep below and of Jade Dragon Snow Mountain beyond. 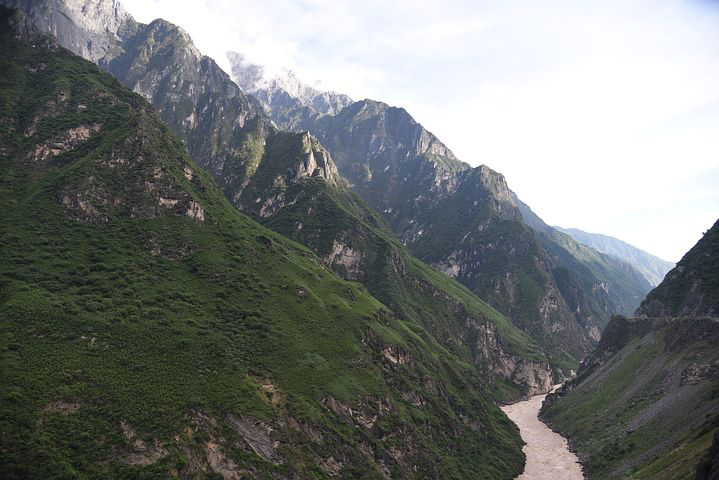 In the morning we’ll complete our hike of Tiger Leaping Gorge, locally known as Golden Sands River. Drive to Tacheng, then to local boutique hotel. This morning, drive to see the cute Yunnan Snub-nosed Monkey. Then continue to Shangri-la via Nixi Village, old town of Shangri-la. The village is famous for its pottery. 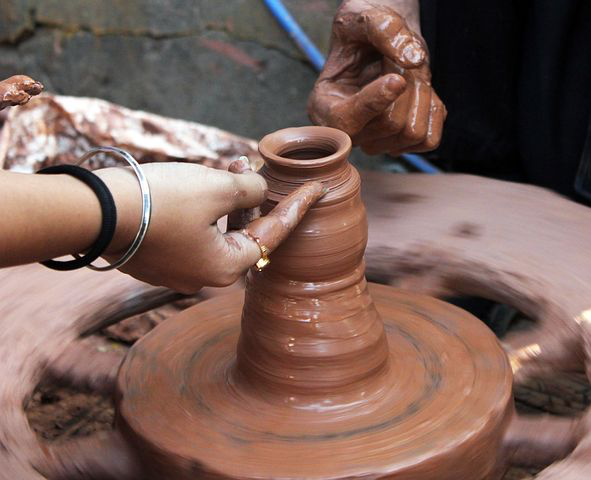 Explore the village and try out some pottery making yourself! Next, join a walking tour to a local market selling mushroom and vegetables. This afternoon, transfer to Dabao Monastery where you can participate in a prayer. Finally, join a farewell dinner with a local Tibetan family. This morning, transfer to the airport and catch your flight to Kunming to connect to your flight back home. Centrally located, this five-star hotel will provide you with top-notch services and gorgeous views of the mountains and river. With multiple, famous attractions easily accessible from the Gurong Hotel, you will find yourself consistently immersed in culture, history and activity! At the Laomadian Lodge, stay in authentic rooms in a one hundred and fifty year old complex with two courtyards. This establishment was used by caravan leaders in the past, even the original cabinets that the horsemen slept atop to protect there personal belongings, can still be seen here. Situated in the center of Old Town of Lijiang, next to the Si Fang square, you will find the beautiful Zen Garden Hotel. The hotel is carefully designed as traditional timber construction with natural stone walls and pavements. All the rooms have a little balcony with seats which are orientated to the open green yard where you can enjoy the sunshine. 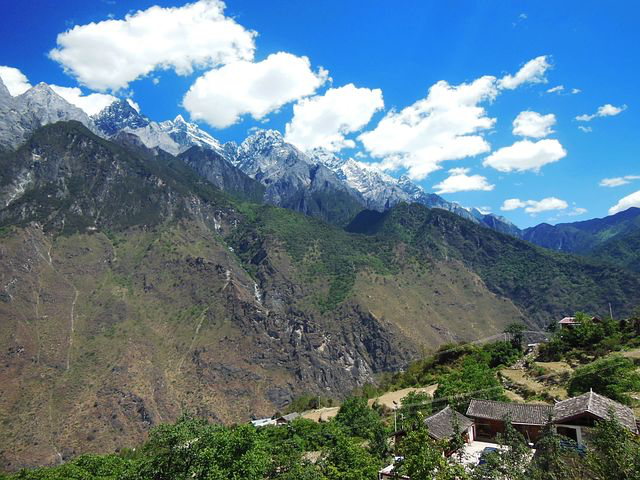 Located in Yacha Village in Tiger Leaping Gorge, the owner of this guesthouse is a local who has lived in the area for a long time. Get to know her as she will be happy to educate you on local culture and lifestyle or anything which is related to hiking through the gorge. Chat with other tourists ,enjoy the warm sunshine and peaceful environment on the house’s beautiful balcony and capture amazing views of the picturesque landscapes. Part of a mixed Tibetan/Lisu farming community, Songtsam Tacheng enjoys a comfortable climate and boasts the region’s most fertile land. This lodge is elegantly designed to showcase fine Chinese art and style with big windows and balconies. The year round mild climate yields an abundance of fruits and nuts, growing alongside terraced fields of rice, wheat and grapes. Situated right next to the Songzanlin Monastery, this small lodge has been a base for travelers from around the world for ten years. The lodge is housed in a traditional Tibetan dwelling within a self-sufficient farming village and has a comfortable, cozy atmosphere.